Elizabeth K. Hopper, PhD, is a clinician, supervisor, and member of the training faculty at the Trauma Center at Justice Resource Institute in Brookline, Massachusetts. She is Senior Administrator and Director of Supervisory Services at the Trauma Center and served as Associate Director of Training for a decade. As the Chief Program Officer for the Trauma Center’s anti-trafficking programs, Dr. Hopper oversees several regional and national counter-trafficking programs and networks, including programs that provide direct services to survivors and that improve service delivery through outreach, training, and consultation. She has collaborated with numerous agencies and organizations in developing trauma-informed care systems. Dr. Hopper is coauthor of a book on yoga as a body-based intervention for trauma and has written numerous articles and chapters on complex trauma, trauma-informed care, homelessness, and human trafficking. She has a strong interest in integration across treatment models and in interventions that can be individually adapted. Frances K. Grossman, PhD, ABPP, is a senior supervisor and member of the training faculty at the Trauma Center at Justice Resource Institute in Brookline, Massachusetts, with which she has been affiliated since 2001. She is Professor Emeritus in the Clinical Psychology program at Boston University, having taught there for over 30 years, and was an adjunct faculty member in the Lesley University Master's in Counseling Psychology program for a decade. 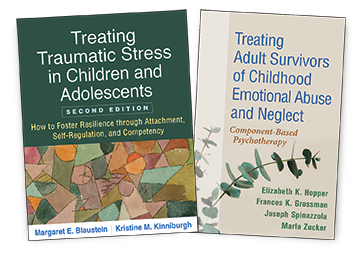 Dr. Grossman has published and presented on topics including resiliency in women and men with histories of childhood sexual abuse. With a particular interest in dissociation, she teaches a dissociation seminar at the Trauma Center and has developed an imagery technique for engagement with dissociated parts of self. She is highly engaged in the national dialogue about implicit and explicit racism and has participated in the development of a Trauma Center working group on issues related to diversity. Joseph Spinazzola, PhD, a clinical psychologist in private practice, was a clinician, researcher, clinical supervisor, and national trainer for the Trauma Center in Brookline, Massachusetts, for over 18 years, including 12 years as Executive Director. He is Adjunct Professor at Richmont Graduate University, a member of The Forensic Panel consulting practice, and Executive Director of the Foundation Trust. Dr. Spinazzola founded the Complex Trauma Treatment Network of the National Child Traumatic Stress Network, coauthored the International Society for Traumatic Stress Studies’s expert guidelines for the treatment of complex posttraumatic stress disorder, served as Co-Principal Investigator of the developmental trauma disorder national field trials, and has published over 60 peer-reviewed journal articles and book chapters. He is also the lead developer of the Trauma Drama intervention for youth and young adults. Marla Zucker, PhD, CMPC, is a clinical psychologist and certified sport psychologist in private practice in Brookline, Massachusetts. She is a supervisor and lecturer in the Sport Psychology specialization at Boston University within the Counseling Psychology program. Dr. Zucker worked with the Trauma Center at Justice Resource Institute (JRI) for 15 years, including 11 years as Director of Clinical Services and then Program Director, and 8 years as Program Director at JRI's Metrowest Behavioral Health Center in Acton, Massachusetts. At the Trauma Center, she was also on the training faculty and worked clinically with traumatized children, adolescents, and adults. 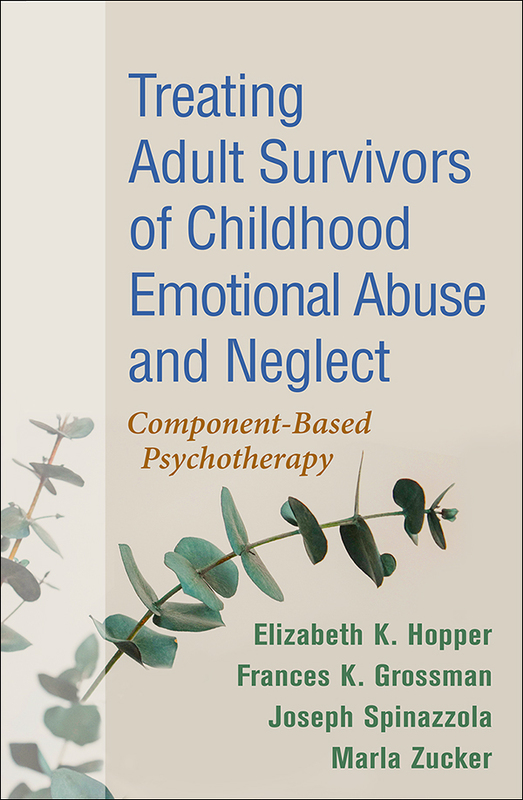 Dr. Zucker has published and presented widely in the areas of trauma and trauma treatment and developmental learning and attention disorders.